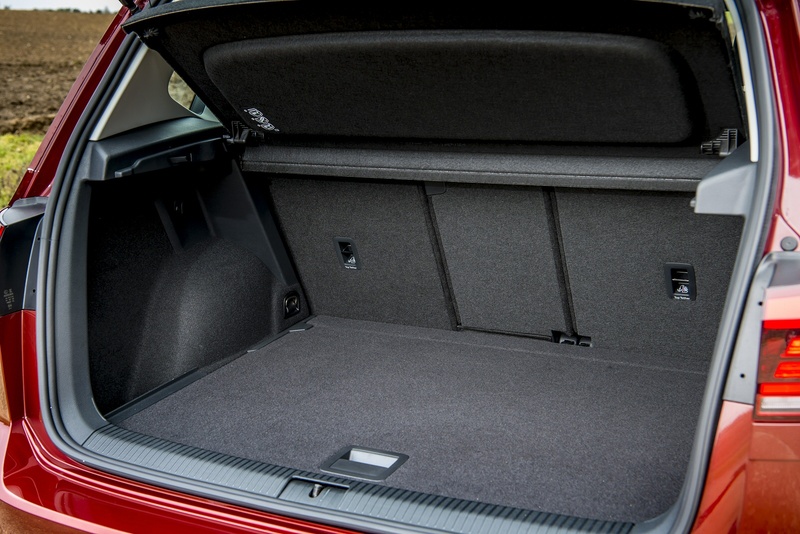 If you've ever got out of a Volkswagen Golf feeling you could do with a bit more space, the answer is right here in the chiselled form of the Golf SV. 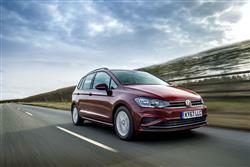 Here, the Wolfsburg brand has brought us a proper, purpose-built family-sized five-seat MPV that offers key advantages to justify its premium over the standard hatchback model. We're testing this smarter, more sophisticated revised model with its latest 1.5 TSI EVO petrol engine. 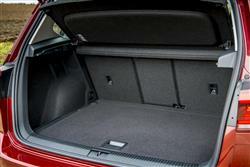 Every year, around a million people worldwide buy some sort of variant of the Volkswagen Golf. Most choose the hatch or estate versions of course, but a few need something that's Golf-sized with Golf values that's just that bit more versatile - this model, the Golf SV. It was originally launched in 2014, but we're looking here at the much improved version that Volkswagen brought us for the 2018 model year. The 'SV' moniker stands for 'Sports Van', a name used for this car in Europe but one the importers here understandably didn't much like, hence its shortening to a couple of simple letters for our market. 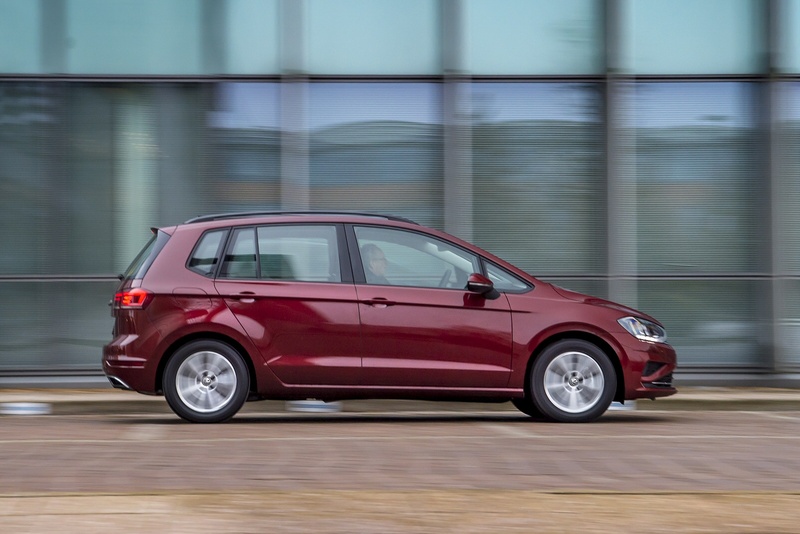 It's still not the largest five-seat mid-sized MPV of its kind - but claims to be the classiest, something emphasised by the round of updates we're going to check out here with this revised model. This features smarter looks, an upgraded cabin and improvements to both safety and media connectivity. Plus there's an updated engine range, featuring the 1.5 TSI EVO petrol engine we've chosen to test here. Will it all be enough to attract a little more attention from buyers in this country? Let's put this car to the test. This Golf SV gets impressively close to the driving dynamics of the standard Golf hatch model it's based upon, despite the fact that it's 80mm longer and wider, 120mm higher and about 120kg heavier. A standard XDS electronic differential lock torque vectoring system helps get the power down through bends you'd be able to tackle even more confidently if the electric steering set-up offered a bit more feedback. You can improve that by changing the settings on the 'Driving Mode Selection' system that most variants have, this set-up tweaking steering, throttle response and - on auto models - gear change timings to suit your preference. It'll alter suspension feel too if you take up the option Volkswagen offers of 'DCC' 'Dynamic Chassis Control' - though to have that, you have to have picked one of the more powerful engines. There are two of these - the 1.5-litre TSI EVO petrol unit we tried, offered with either 130 or 150PS. 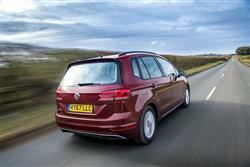 And the 2.0 TDI 150PS diesel and there's a choice of 6-speed manual or 7-speed DSG auto transmission. All these powerplants come with the brand's more sophisticated multi-link rear suspension package. Further down the range, you'll be stuck with the cruder torsion beam set-up that gives a slightly more unsettled low speed ride over bumpier surfaces. 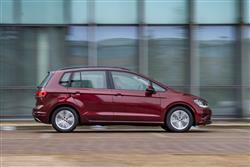 If you want to please your Volkswagen sales person, tell them this car looks like a Golf. That is, after all, just the point, given that the last thing the stylists wanted was the high-roofed Toytown awkwardness of the old Golf Plus. Though this car is just as tall, its proportions are far more carefully considered, with aesthetic tricks like a glasshouse-extending fifth side window and bonnet-lengthening creases preserving the smartly conservative look of Volkswagen's best-selling family hatch. As for the changes made to this revised model, well the alterations made can mostly be found at the front, where the central lower grille has been re-designed. 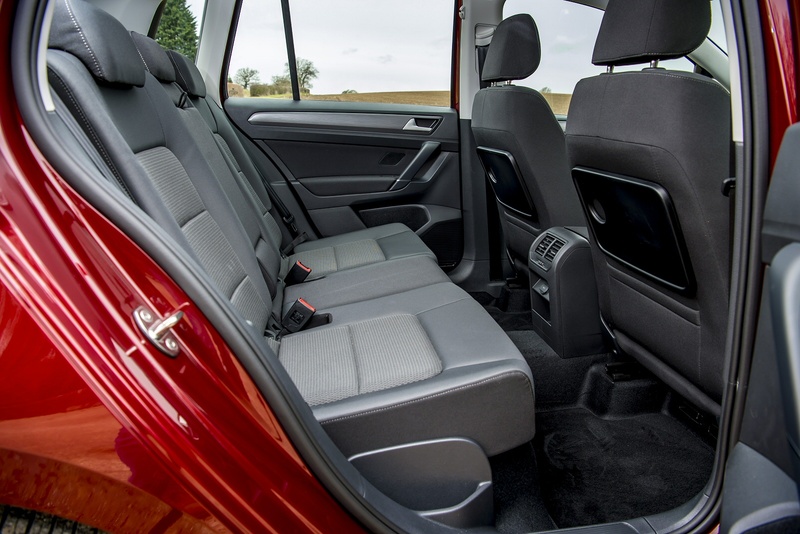 Take a seat up-front and you'll find yourself sat 59mm higher than you would be in a Golf hatch, which provides a slightly more commanding view out. Around you lies the usual classy Volkswagen interior, embellished by higher quality materials on this revised model and now even more difficult to fault. 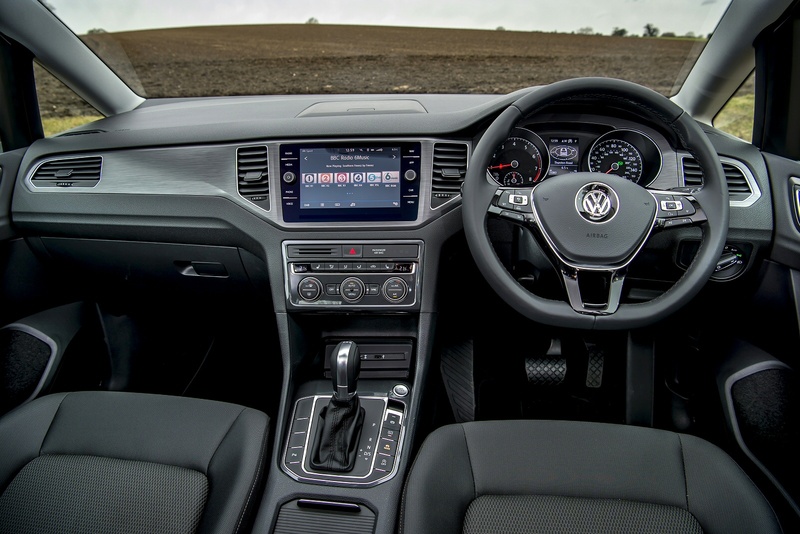 The big change is the more sophisticated 8-inch 'Composition Media' centre-dash infotainment screen which above entry-level trim is enhanced with Volkswagen's clever 'App-Connect' set-up. And in the rear? Well, it's true that in a rival Scenic, a C-MAX or a C4 Picasso, you've the option of taking out the middle seat to free up more space for the two outer passengers. That's not an option with this Volkswagen - but then how often would you really want it to be? The bench does slide though. Out back, there's a big 590-litre boot. As you might expect, this SV model is price-positioned just above hatch and estate Golf derivatives - but not that far above. 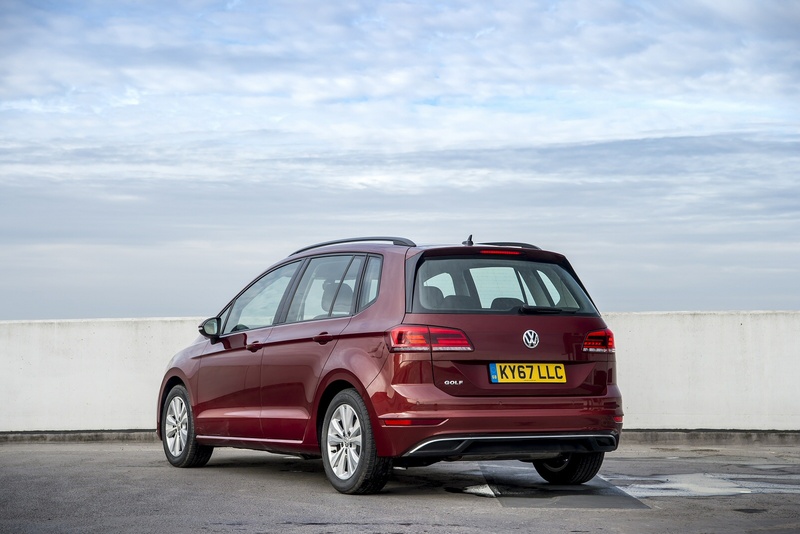 The premium you'll pay to get this variant's MPV versatility varies with trim and engine choice but in rough terms, think of an SV as costing you £1,500 to £1,700 more than a directly equivalent Golf Hatch and £750 to £1,000 more than a directly equivalent Golf Estate. 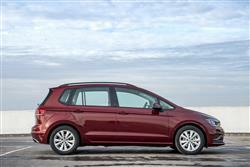 For reference, an equivalent version of Volkswagen's Touran 7-seat MPV would cost around £2,500 more. Overall, Golf SV pricing sits in the £20,000 to £30,000 bracket - which is pretty much par for the course in the 5-seat family hatchback-based segment of the MPV market. If this is what you want, then you'll find yourself choosing between four trim levels - 'S', 'SE', this 'SE Navigation' spec and the top 'GT' versions. As for engines, well for this test, we tried a petrol engine freshly added to the Golf SV range, the 1.5 TSI EVO unit, which is most widely offered in 130PS form - that's what we sampled in an 'SE Navigation' guise that costs around £24,000. All 'SE' models get 16-inch alloy wheels, auto headlamps and wipers, Adaptive Cruise Control, power-folding mirrors, front and rear parking sensors, front 'comfort' seats with height and lumbar adjustment, an alarm, an auto-dimming rear view mirror, an auto fold-down lever in the rear seat backrest, seatback fold-out tables and extra areas of interior storage - under-seat trays for example. The Volkswagen Group's impressive 1.5 TSI EVO unit uses the brand's clever 'ACM' 'Active Cylinder Management' technology to cut out two of its four cylinders under light to medium throttle loads and as a result, the efficiency stats aren't much different to those of the base 1.0-litre Golf SV model. In its 130PS form, a Golf SV 1.5 TSI EVO manages 55.4mpg on the combined cycle and 116g/km of CO2. There's no downside if you opt for auto transmission. For reference, the auto-only 150PS version of the 1.5-litre engine records 54.3mpg and 118g/km. And warranties? Well the standard package is three years and 60,000 miles. We can't see why Volkswagen couldn't extend that mileage limit to 100,000 miles, since this is what's on offer with its mechanically very similar Caddy model. Doing that though, wouldn't give Volkswagen dealers so much of an opportunity to sell extended warranty packages. 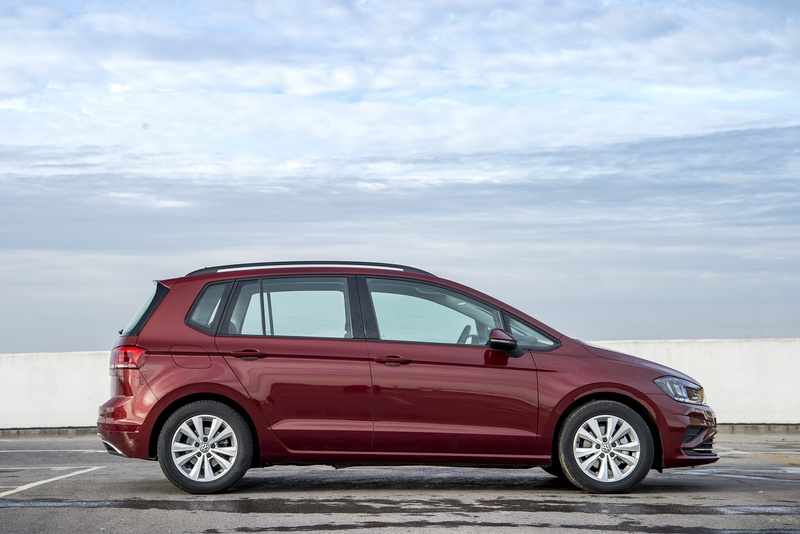 There's one for four years and 75,000 miles or, if you plan to see a bit more of the world in your Golf SV, there's a five year / 90,000 mile package. Whatever your decision, your car will come with three years of pan-European Roadside Assistance that has no mileage restriction. The paintwork warranty lasts for three years and, as you'd expect, this model is protected by a 12-year anti-corrosion package. If you�re looking for a new Volkswagen Golf SV 1.5 TSI EVO 150 SE 5dr DSG Petrol Hatchback for sale, you�ve come to the right place. At Bristol Street Motors we don�t just have the best Volkswagen Golf SV 1.5 TSI EVO 150 SE 5dr DSG Petrol Hatchback deals, we also offer friendly advice and help with all your enquiries to ensure your buying experience is a happy experience.